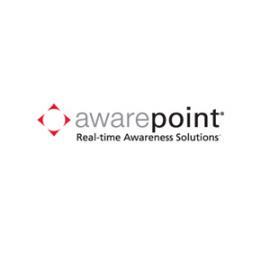 Awarepoint provides workflow automation and tracking solutions to the acute care hospital marketplace. Our technical services team manages thousands of visits and deployments per year. These visits need to be managed to maximize resources and provide timely communication to our team and our customers. We had reviewed several great off the shelf solutions but we could never find one that didn't compromise some part of the team's workflow that would negatively impact customer service and/or maintenance of the equipment. Why did you choose Knack? We realized that we would need a platform to build a custom application that would not divert any development resources from our companies solution development team. It had to be easy enough that we could build it without writing a single line of code. Knack gave us an easy way to setup a team calendar view (that you could actually drill down into event showing on the calendar) and custom reporting that could be as simple as clicking on a button to print the report from any object. We were using paper and a variety of disparate tools (spreadsheets, online tools, etc.). Now we will be able to keep all the information in one place. While creating the app we soon had inspirations for other enhancements. We started tracking Customer Opportunities so that I could see the impact that the services team had toward equipment sales. We also started tracking customer anecdotes so that we hear from the customer about how our solutions are driving value for their organizations. Which Knack features are you using most? With Knack, I just kept finding gems of features that all I had to do was "turn them on" and VoilÃ ! I got functionality that typically took hours of coding to do. I love the way you design the UI for the end user. You can turn on new functionality when you want without impacting the team's work. I love the import tool and the ability to batch modify records. This allowed us to get the application up and going in no time. The Knack Team is great to work with. They are very patient and great listeners!!! The support has been great at all hours of the day and even on weekends!